Someone has made a fake email ID that is similar to mind and has made some request. Before you ever respond to such emails, please check it if it's correctly spelled. My email ID is thadeusa@gmail.com. It's also on the parish calendar. Be very diligent with all electronic communications. >Trustees, Presidents and secretary's of all times in the past and present. Those who raised their hands to join the committee at the Pothuyogam on Jan 27. Thank you for your kind attendance. i) Presentation of Annual Report of Events 2018.
ii) Presentation of Financial Reports for 2018 Income Statement & Balance Sheet. iii) Vicar's Reports and New Items, Church Building Fund Pledges, Name Change of the Parish. Agenda of the meeting attached and all Parishioners are requesting to attend the Pothuyogam. Chacko Joseph(Siby), Jain Jacob, Rajesh Mathew & Saji Mathew. We will have the 11.00am Malayalam Mass. We will have the 11.00am Malayalam Mass today, Sun Jan 20. Be safe and warm as your drive and walk. Church parking lot is well cleared and the roads around Wesley Hills are also guardedly drivable. I just test-drove. Today, Jan 20, we will not have CCD and the 12.30 English Mass. 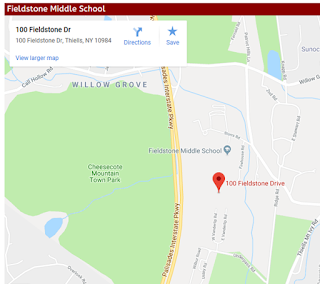 Please bring the children and teens if you are able to drive in your neighborhood. All church meetings and other social activities of this weekend and until Wednesday are cancelled. God bless us all and keep us safe during this severe winter season. Here is a circular dated January 20, from our Major Archbishop. 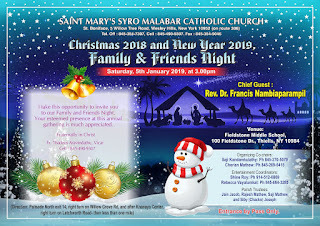 Kindly find herewith the Circular of Our Major Archbishop George Cardinal Alencherry and this is to be read in our parishes and missions on coming Sunday, January 20, 2019.
is postponed to another time which will be announced soon. It was originally scheduled for Jan 20, Sunday after Mass. This is due to bad winter weather conditions predicted for this Sunday. I would prefer to have it on a week day evening or on a Saturday afternoon. Will let you know the time and date ASAP. 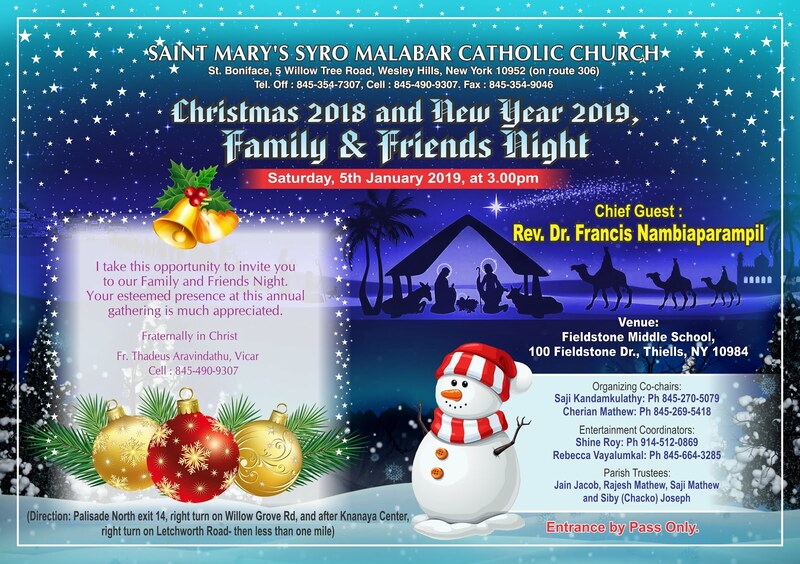 On Behalf of St Mary's Church, we inviting all to attend the Family Night of 2019. Please note the below information. Before you leave your home today, please make sure that you have the tickets with you. If you purchased several tickets and intended to come at different time, please make sure that each group has their tickets with them. Additional tickets will be available at the front door with payment. A "Location Map" is also attached for your information.